Q: The value of my residence is less than the amount that I owe on the mortgage, and because I lost my job, I cannot continue to make the loan payments. Do I have any option other than losing the property to foreclosure? A: Given the one‐two punch of falling property values and increasing unemployment, the number of homes with debt that exceeds their value, and the owners inability to keep payments current, have caused short sales to become an increasing share of the market. Whether a short sale is a better alternative than foreclosure is subject to many factors, including the flexibility of seller and buyer, and convincing the lender that it can get a better deal from the short sale than the inevitable foreclosure. The keys to a successful short sale are patience, persistence, and a convincing package that satisfies all of the lenders’ requirements. In basic terms, a short sale is the sale of a principal residence for a price that is close to or less than the total debt on the property. The lender or lenders on the property agree to a sale even though the lenders will not get 100% back on their loans. Not all lenders will agree to a short sale, and some owners and properties do not qualify. More than one lender having liens on the property complicates the negotiations and may lessen the chances of success. Whether a lender will agree to a short sale depends upon many factors, including its policies, circumstances of the loan and payment history, and the borrower’s financial hardship and assets. The closer the amount of the net proceeds that the lenders will receive to the amount of their debt, the better the chance the short sale will be accepted. If the property is listed too far below its market value, it may attract multiple offers, but not receive lender approval. It is necessary to find a buyer before most lenders will even consider a short sale, and be prepared to provide lenders with copies of all offers. Keeping the payments current while listing the home may lessen the adverse effects of a short sale, but some lenders will not consider a short sale unless one or more payments are missed. Because some lenders require agents’ to reduce their commissions, some agents won’t touch a short sale because they end up working harder for less money. The listing agent is responsible for presenting the short sale package to the lender and getting its approval, and the process can take several months after the buyer is found. However, the recent experiences of realtor Paula Betart of John Aaroe Group suggest that lenders are becoming more receptive to short sales for full commissions of 5‐6%, and this may encourage more agents to consider short sales. 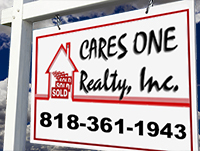 The benefits of a short sale rather than foreclosure are not always worth the trouble, but it often has benefits. A foreclosure remains on a credit record for 10 years and may result in a credit score drop of 300 points. A short sale remains on a credit record for 7 years. Any drop in the credit score may be less than after foreclosure, and may be limited if payments on the debt remained current, even though many mortgage brokers consider no difference in the adverse effect on the credit score between short sales and foreclosures. 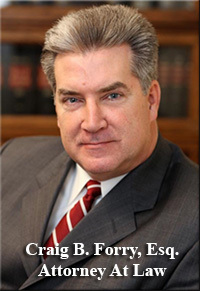 If a deficiency judgment is applicable (e.g., non‐purchase money loan on one‐ to four‐unit residential dwelling), a seller may be able to negotiate it away during the short sale process. 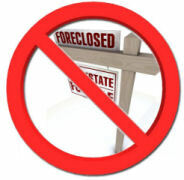 Some lenders will sue for a deficiency judgment after a foreclosure, if it is available. A short sale will enable the seller to buy again in a shorter time than after a foreclosure, and it may be a less stigma than a foreclosure to a future employer that runs a credit check, or a future lender. As a buyer, you should expect that some lenders will not agree to include in the closing costs a home warranty plan, inspections for pests, roof and sewer, repairs you deem necessary, or other costs of sale. If you want them, you may have to pay for them. The lender wants to maximize the recovery of its debt and the closing costs are paid out of the sale price. So the more the closing costs, the less recovery by the lender. The individual circumstances of the seller’s financial hardship are an important factor to a lender considering letting a seller have the benefit of a short sale rather than foreclosure. Loss of employment, divorce, and serious illness are examples of hardship a lender may consider, and simply borrowing against most of the equity and then experiencing a falling property value may be unpersuasive. But circumstances vary greatly and each seller’s particular situation should be evaluated before rejecting a short sale as an option. Tax ramifications of the debt forgiveness should be evaluated because unless exceptions apply, such as the Mortgage Forgiveness Debt Relief Action of 2007, the forgiven debt resulting from a short sale may be taxed as earned income. Both a short sale and foreclosure are last resorts, but keeping some control with a short sale and obtaining its benefits over a foreclosure may be worth it. An evaluation of a seller’s situation by experienced real estate professionals is the first step in determining if a short sale is the right choice for you.